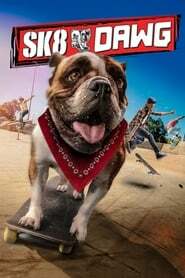 : Everyone in Tommy's life — his sister, his dad, his neighbor, even his dog — is an awesome skateboarder. Everyone except Tommy himself! Sick of getting teased for being a klutz, Tommy accepts a skate-off challenge from the local bully Frankie. Can his friend Alice and his pooch, Buddy, teach Tommy to flip, ollie, grab, and slide in time for the big showdown?